The City of St. Louis Treasurer's Office has started a six month on-street parking field test evaluation as part of an RFP for parking meter technology. The RFP was issued in October 2013 as part of an ongoing effort to modernize operations. The goal of the RFP is to provide St. Louis with a cost-effective on-street parking system that allows people to use cash, credit cards and mobile phones to pay for parking. The companies selected to participate in the RFP are: Xerox, Duncan Solutions, Aparc Systems, and a joint proposal submitted by T2 Systems, Inc., Republic Parking System and Digital Payment Technologies. The field test evaluation sites are located on 10th Street between Chestnut and Washington Avenue and at the corner of Broadway and Pine in downtown St. Louis and at Maryland and Euclid and Laclede and Euclid in the Central West End. The Treasurer's Office will be asking for public input during the field test evaluation. "A lot of weight will be given to customer evaluations during the field test," said Treasurer Tishaura O. Jones. "Our goal is to create a first class parking operation for St. Louis, and we cannot do that without public feedback." The public may give feedback by taking a survey on the Treasurer's Office website. They may also contact the office directly via the website. In addition, the Treasurer's Office has formed a Citizens Advisory Committee that will also provide feedback on parking improvements in the City. Based upon the results of the trial, the office may decide to proceed with an offer to one or more companies to furnish and potentially install units on a long-term basis throughout the City. 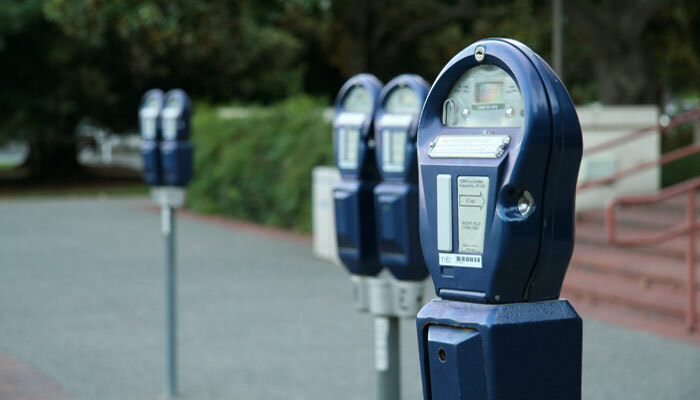 The City of St. Louis Treasurer's Office is making preparations for a six month on-street parking field test evaluation as part of an RFP for parking meter technology. Crews began work today installing test parking meters at the field evaluation sites in downtown St. Louis and the Central West End. Work will continue through the weekend. The test parking meters will be ready for customer use on Monday, February 3. The field test will last approximately six months. The field test evaluation sites will be located on 10th Street between Chestnut and Washington Avenue and at the corner of Broadway and Pine in downtown St. Louis and at Maryland and Euclid and Laclede and Euclid in the Central West End.